Discover historic South Wellington, an enterprising community in a valley south of Nanaimo where coal mines, railways, farming and families once created a bustling community. Nanaimo Museum is proud to work with and showcase a local community in our Feature Exhibit Gallery. The exhibit is based on Clare Singleton’s book Treasures of South Wellington. The exhibit includes a variety of photographs, artifacts and stories provided by the community that complement the original works by the artist. Visitors will learn about the dangers faced by miners, the devastating fires that swept through the community and the lives of people who lived there. “We worked closely with the artist to develop the exhibit and include stories from the recently published community history South Wellington: Stories from the Past,” said museum curator David Hill-Turner. Clare’s art is the centre of the exhibit, to be complemented with photos and artifacts. She lives in South Wellington and describes herself as an “on location” artist who paints from life. She likes to be there and live the experience, so she moved to South Wellington in 2007 from Ladysmith to be closer to her subject matter. Her book forms the basis of the exhibit’s storyline. Her work highlights the generations of mining families in this area and the lives they still lead. Join us also for the series of Saturday lectures at the museum and walking tours of the South Wellington community that supplement the exhibit based on Clare Singleton’s paintings of South Wellington. All presentations in the Nanaimo Museum are 2-4 pm. Virtual Black Track Tour, T.W. Paterson, historian and author. Join us to discover the story behind the trail of coal that linked the five mines of South Wellington to Nanaimo. South Wellington, Peter Culley, Writer and photographer. In conjunction with the South Wellington School’s PAC annual plant sale, join the South Wellington Historical Committee for a walking tour of the community. Please pre-book with Nanaimo Museum (250.753.1821) for one of the tours at 10 am or 12 pm. The $10 fee will go to supporting South Wellington’s heritage. The tour starts at South Wellington School across from the Fire Hall at 1555 Morden Road. Refreshments will be available. Morden Mine is a designated provincial Historic Park where some of the last physical remains of Nanaimo’s mining heritage can be seen. The society has been working with BC Parks to raise awareness of the site and develop a conservation plan for the surviving concrete head frame and tipple. I’m just taking a break from doing my yard clean-up for spring, and thinking about how grateful I was to have so many incredible neighbours who supported me through my first year of guerilla gardening. I have a bevvy of plants just itching to get growing this year. Is there anything you would like to trade? Anything extra you want to offer? If so, post if below, and I’ll make sure you get connected. Shop In The South End! Introducing a new feature to the SECA blog, “Shop In the South End” profiling the shops and businesses that operate in the South End and are so important to the fabric of our neighborhood. Shops and services once thrived in the South End. People shopped where they lived and commerce was a central part of neighbourhood life. A great example is the Manson store on the corner of Haliburton and Farquhar which was known for supporting families through good times and bad by providing credit during the depression and during mine closures. Times have changed and the North End malls and retail chains have made it extremely difficult for small business to compete. In spite of the challenges a few small businesses continue to thrive and are proud to call the South End home. by supporting them, we can keep our hard-earned dollars in the neighbourhood. We’ll begin by profiling one of our most visible businesses: R-U Computing. 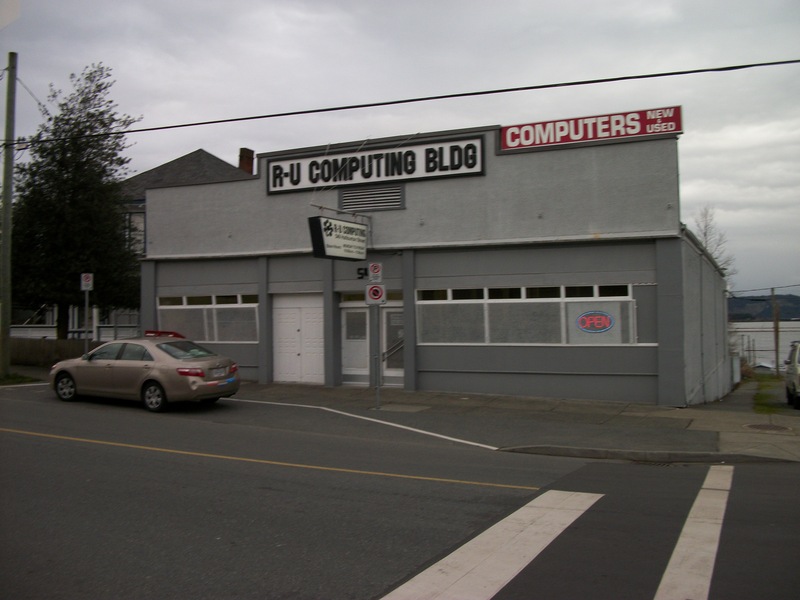 R-U Computing Co. Ltd. has been located on Haliburton Street since 1999. Over the course of the past several years, R-U Computing has undergone many changes as our regular customers know. We have built our business through offering a broad range of new and used computer systems allowing us to target a system to a client’s requirements. It is a primary goal of ours to provide customers with knowledge and information that will enable them to make an informed decision of their computer needs. We are happy to spend the time with our customers to determine the best options for their requirements. We strongly recommend bringing in your existing systems in order to evaluate the most cost effective approach to getting to the next level of your computing experience. If we can utilize your existing parts to save you money, we will; many times a complete replacement is unnecessary. Again, it is our mandate to provide our customers information to make an informed and educated decision. Computer service is a large part of our business. We fix hardware and software issues on PC’s and laptops and having a well organized, large service area are able to do the job quickly. Service jobs include checking and replacing hardware as necessary, performing upgrades, and providing evaluations and recommendations as required. Software issues include (but are not limited to) corrupt or missing files, viruses, spyware, missing drivers, installing programs, registry issues etc. We strive to keep our rates reasonable, making it affordable for people to fix their computers. We are open Monday to Friday from 10 to 5:30 with the exception of holidays and take computers in on a drop-in basis. Thank you to our customers for making this possible! We so appreciate all of Charles’ efforts and contributions to our neighborhood. Our nomination is below. On behalf of the South End Community Association, it is my great pleasure to nominate Charles Torhjelm for the John Thomson Heritage Memorial Award. 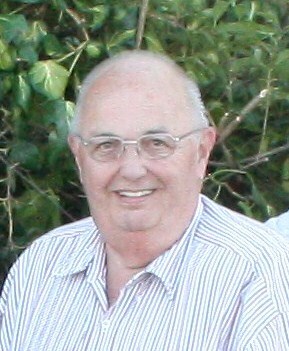 Charles served as President of our association from 1995- 2003 and his contribution to our community has been quite exceptional. Charles has a great passion for the south end and he has been a most ardent advocate for the promotion and conservation of our unique heritage as Nanaimo’s original neighbourhood. Importantly, he recognised that our identity as a neighbourhood is inextricably linked to the First Nations who lived here first, the industry that developed and the community that grew up around it. Charles has understood the need to preserve our connection to the past as the best way to define our neighbourhood now and in the future and this theme has become a central focus for our association. The success of the Miners Heritage Picnic, now in its 20th year, is largely due to Charles whose idea it was and whose tireless energy and commitment has made it such a wonderful annual event in the south end calendar. His initial and enduring concept was a simple one, to provide a fun free day for the people of the south end, much like the old miners picnics that used to take place in the very same park. The picnic is an annual celebration of our neighbourhood, the history that shaped it and the people, young and old, aboriginal and non-aboriginal that live in the neighborhood today. The theme of heritage is central to the event, with the ever popular guided heritage walk through the neighbourhood, various historical exhibits on view, a “strawberry social” for senior south enders who are served tea by children dressed in old fashioned garb, and much more. Charles was also responsible for both the idea and then raising the money that led to the establishment of the heritage kiosk at the site of the No 1 mine that commemorates the lives lost in the explosion of 1887, a seminal event in the city’s history. As I write, Charles has been busy liasing with the city to renovate the site, and is coordinating a planned memorial event at the site on May 7 to celebrate the improvements and draw attention to this important event in our history. As you know well, a sense of heritage and history counts for little unless brought to life and given meaning through the efforts and actions of individuals such as Charles Torhjelm. On behalf of all of our members, I warmly commend him to you as a worthy recipient of this award. Thank you for your kind consideration. Shop In the South End. Do you know that more than 66 businesses operate in the South End? SECA proposes we support our local businesses, and to that end, each month we will be highlighting a local business in this blog. 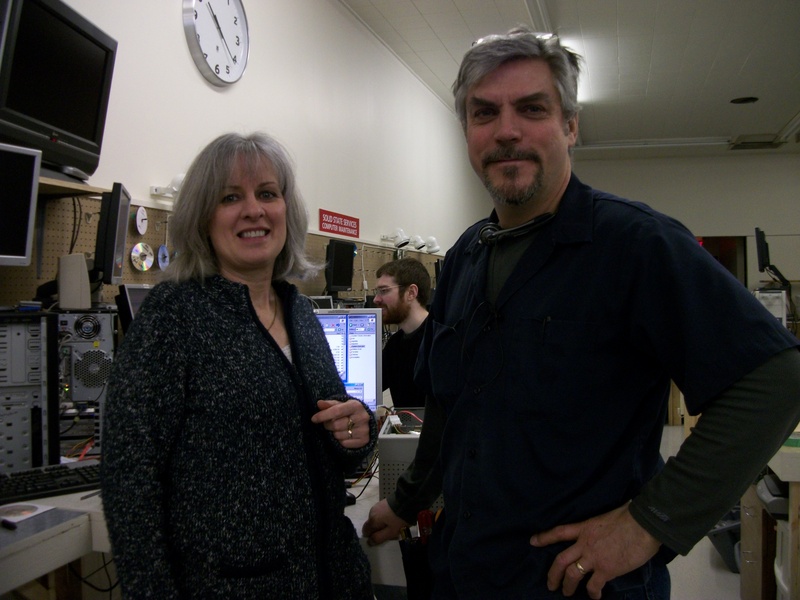 Quirk Works is back in operation after a winter hiatus. A meeting with pot luck will be held March 29, 6:00 PM at 508 Victoria Rd. The Tea Wagon and future projects are to be discussed. The Number One Mine Kiosk will be rejuvenated according to the City. There is also the possibility of some Public Art near the kiosk. Charles Torhjelm has raised money toward this. There will be a commemoration of the 1887 mining disaster at Number One Mine on May 7 2011, time to be announced. The SECA Purchasing Guidelines were adopted in principle at this meeting. Thank you for all work Chris! For more information click here. The possibility of a South End Flag was raised and ideas batted around. Please submit your designs to us!